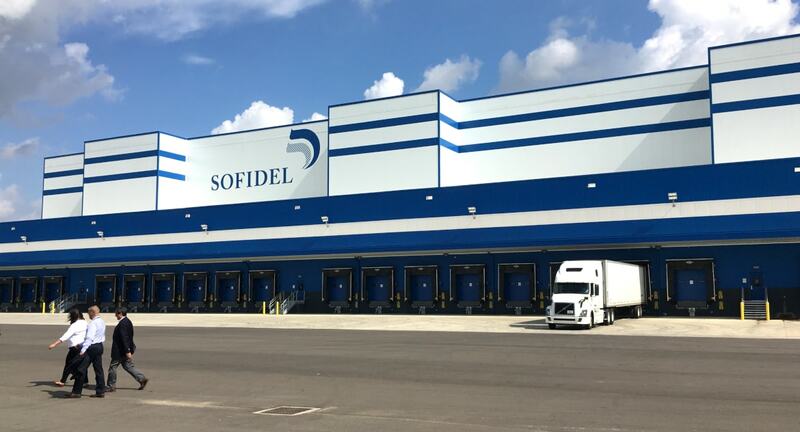 Sofidel Corporation, the sixth largest tissue paper manufacturer in the world, selected Burgess & Niple to assist them as the design team for the development of their first greenfield project in the United States. The 280-acre site includes a roughly 1.8 million-square-foot manufacturing facility complete with plant roadways, utilities, rail spur, electrical and natural gas substations, process water, and wastewater treatment plant buildings. B&N was responsible for the complete civil-site design and development of design documents for the mechanical, electrical, plumbing, and process water/wastewater treatment facilities. The civil-site design included all site layout, utilities, stormwater management for both quantity and quality control, drilling, testing, and design of on-site groundwater wells for process water supply, and the rail spur development. The rail spur services two of the plant warehouses with design considerations for future expansion of the facility. The design was coordinated with the mainline service provider for alignment, usage estimates, configuration, and on-site rail car management. In addition to the design aspects, B&N also was responsible for all environmental and site permitting for the new manufacturing operations. This involved coordination with each regulatory agency, development of the necessary calculations, reports, and applications as well as submission of the permit documents to allow construction to proceed in an expedited manner. Specific permits included: zoning, site development, potable water/sanitary sewer connections, a National Pollutant Discharge Elimination System permit for wastewater discharges, Section 401/404 permit, Ohio Environmental Protection Agency Permit to Install, air permitting, temporary discharge permits during construction, FAA permits, and building permits for selected building portions where B&N was responsible for foundation design.